For me, the bright spot of every winter happens after the Midwinter conference, when YALSA releases its list of Amazing Audiobooks for Young Adults. This list is compiled by the Amazing Audiobooks Committee, which listens to many hundreds of hours of audiobooks and engages in spirited debates in order to select the very best titles for the list. This committee is composed of nine voting members and one incredible administrative assistant. In 2016, the committee will undergo some exciting changes, as it will be transitioning into a virtual committee. This means that committee members will not be required to meet during the Annual and Midwinter meetings but will instead conduct their business in an online environment. Hopefully, this change will make it possible for more people to participate in this dynamic group. As the committee chair, I am often asked how our committee works. How do we receive titles? How do we share our votes and our reviews? How do we decide what titles are the very best? As far as titles are concerned, we seek out and receive regular submissions of CDs, MP3s, and digital downloads from various audiobook publishing houses. We also actively seek out suggestions from our members and the public. In fact, if you’d like to suggest a title, please do! The form is here. 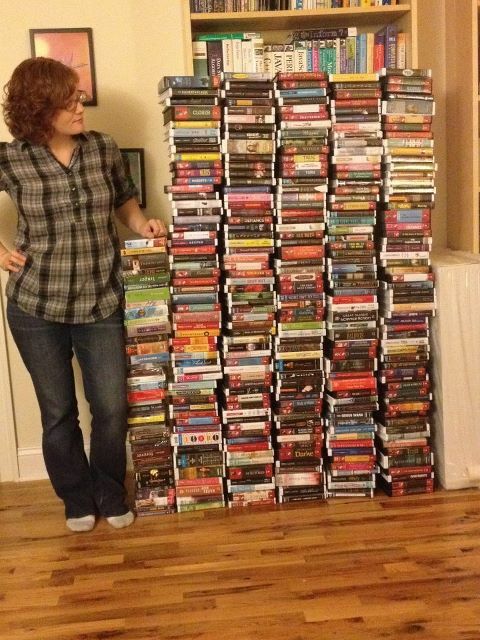 Our committee typically considers between 350 and 400 titles a year. That’s a lot of listening! In order to get through all of these titles, we ask that each member commit to an average of 2 hours a day of listening. In addition to listening, we also write reviews and discuss the merits of the titles with our fellow members. We maintain a robust set of spreadsheets, where we list our assignments, voting history, and nomination details. We share our evaluations on ALA Connect, where we are able to carry on discussions about the audios that we’re considering. We also have occasional online meetings and information sessions. When we first receive a title, it is assigned to a single committee member. That first listener decides whether the title is good enough for further consideration. If it is, it is assigned to five more members. All nominated titles will be listened to by six committee members, all of whom will participate in the year-end discussions in order to decide whether that title is good enough for the final list. As a lifelong lover of audiobooks, I thought this committee would be fascinating to join. I have not been disappointed. I have learned so much about evaluating the production of an audiobook and discerning that almost undecipherable element of “amazing.” After many months of experience and gaining insight from other committee members’ evaluations, I gained some confidence and can now usually tell within the first 15 minutes if the title is going to be a yes, maybe, or no. I find that maybe votes are the hardest because there are lots of positive aspects to the production and content, but they might lack that obvious mark of a “yes!” This is when a second listener helps to confirm the pieces that make the decision to go forward with a title or to leave it behind. I’m really looking forward to our final discussions in January when we work toward delivering a list that is the absolute best we can offer and celebrate the wonder of listening to good books for young adults. I have been a HUGE fan of audiobooks since the early 1980s when I drove 300 miles every weekend for a job in another state. Audiobooks kept me entertained, engaged and awake while they allowed me to keep up on some of my favorite authors and genres. Since then audiobooks have come a long way from simply being read-alouds to now becoming performances. Multiple voices, multiple narrators, music, and sound effects are fairly commonplace and serve to not only support the text but also often enhance the story. Since becoming a member of the Amazing Audiobook committee I have been listening to a wide variety of YA genres. Books I wouldn’t read in print I find I will listen to (and enjoy) on audio. My listening habits now go beyond just when I’m driving and include listening while I get ready for work, as I do routine cleaning, when I’m knitting or sewing, and of course when I’m outside gardening. My work on the committee has also fine-tuned my ears. I now listen critically for uniqueness of voices, quality of speech, wet mouth sounds, p-pops, and audible breaths I had always considered myself a fan of audiobooks but since joining the Amazing Audiobook committee, my fan status has changed to that of an addict. I think that Debi says it best, and most of our members would heartily agree: “While my work with Amazing Audiobooks is intense and often time-consuming, I love being part of this group.” We hope that if you’re thinking about volunteering for YALSA, you consider joining us and helping to create the next list of crazy good audiobooks. If you have any questions at all, please don’t hesitate to get in touch! 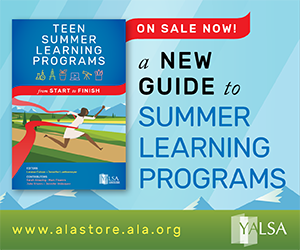 To learn more about participating on a YALSA committee, visit the FAQ on the web site. To learn about volunteer opportunities other than committee work, visit the Get Involved page on the web site. By Candice Mack November 4, 2014 November 10, 2014 Advocacy, Audiobooks, Awards, Committees and Volunteer Opportunities, Continuous Learning, Equity of Access, Governance, Media, Research, Teen Services, YALSA Info. I just wanted to thank our members for the 537 volunteer committee applications that were submitted and to give everyone an update on the award and selection committee appointments process! The appointments task force was finalized in October and award and selection committee chairs were selected. The appointments task force and I are still working on filling all of the award and selection committee member vacancies, but rosters should be finalized soon. Appointing the local arrangements committee for Midwinter 2015 is the next priority. ALA Appointments: There has been one ALA Appointment call to review the general ALA appointment process. 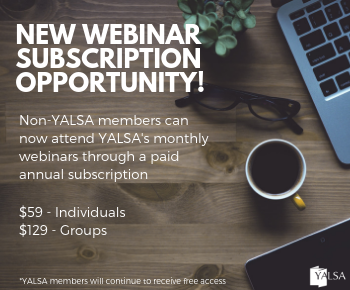 The slate for the nominating committee has not been officially presented, but does include one YALSA member. ALA President Elect Sari Feldman has put out a call for volunteers for the ALA committees listed below. Please let me know if you are interested in being recommended for any of them. The ALA application form closes this Friday, November 7, 2014. It’s been a pleasure and a privilege to go through all of your applications. 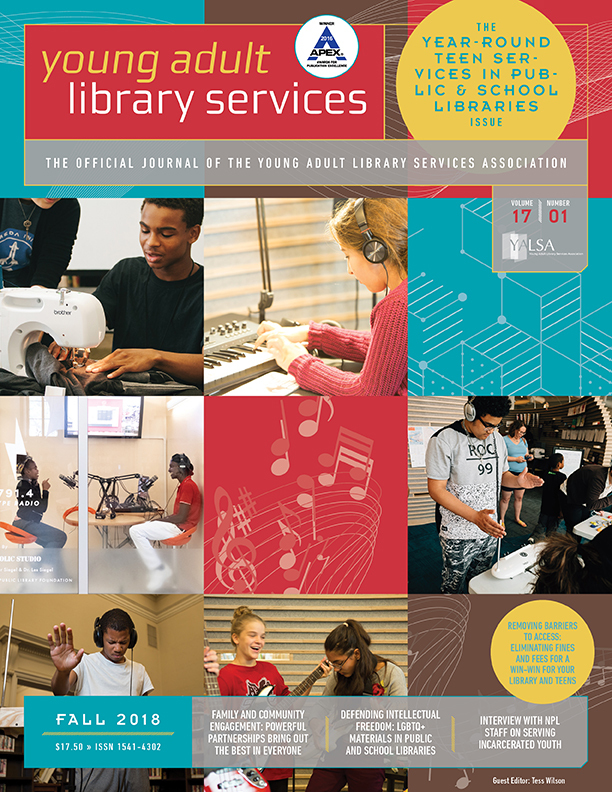 Thank you so much for your dedication to YALSA and to teen library services! A brief look at â€˜grams of interest to engage teens and librarians’ navigating’ this social media platform. This week we’re looking at ways’ libraries’ can use Instagram to market services. As librarians, we know that we provide our communities with so more than books, but how can we show patrons everything we have to offer? From audio books to online materials and wireless printing to smiling faces at the Information Desk, here’s a few ways to get that information out there. The key to this week’s installment is reading the captions — there are many different approaches libraries can take. Have you come across a related Instagram post this week, or has your library posted something similar? Have a topic you’d like to see in the next installment of Instagram of the Week? Share it in the comments section of this post. Previously, you learned about what it takes to serve on the Amazing Audiobooks for Young Adults committee. Here, some of the current Amazing Audiobooks committee members explain why they love to listen. I remember listening to The Hunger Games when it first came out on audio in 2008. I was new to audios at the time and was unprepared for how much of an impact they can make. I was listening and gardening when I came to the scene just after Rue has died, when Katniss receives the bread from Rue’s people. It’s such a poignant scene, but the audio version really brought it to life for me. I ended up weeping into my garden gloves, creating a scene of my own! Each year after the Midwinter conference, YALSA releases a list of 25-30 Amazing Audiobooks for Young Adults. The list is the result of hundreds of hours of listening, discussion and debate by the nine-member Amazing Audiobooks committee. The committee also names the top 10 best titles of the year. Committee members generally serve two year terms. We are librarians, professors, and retirees. We work for public libraries, universities, schools, and community colleges. In addition to the nine committee members, we have one extraordinarily hard-working administrative assistant who does not cast votes, but does receive titles and can listen as much as she chooses. In February, the committee begins gathering possible titles for the next year’s list. We get audiobooks in a number of different ways. First, we make suggestions. Any audiobook published in the last two years with relevance for teens is eligible for the list, so we seek out recent titles. We love to get suggestions from other librarians! If you’d like to nominate a title for Amazing Audiobooks, the form is here. We also receive boxes (and boxes and boxes) of submissions directly from publishers. 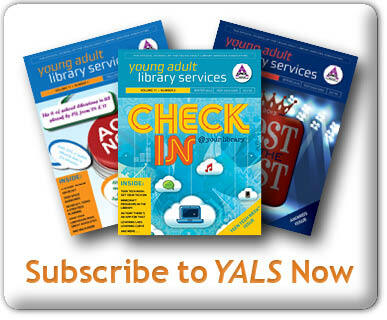 By admin October 8, 2012 October 8, 2012 Audiobooks, Awards, Lists, News, Teen Reading, YALSA Info. On October 17, 2012, help YALSA celebrate Teen Read Weekâ„¢ by joining the conversation about teen reading and young adult literature via a Tweet-a-thon!’ YALSA wants to know: what’s on your YA lit reading list right now? ‘ Steampunk? Audiobooks? ‘ Horror? Graphic Novels?’ Nonfiction?’ Something else? So, librarians, library workers and educators please alert your teens â€” and encourage all the adults you know to participate, too. ‘ ‘ To learn more about Teen Read Week, please visit www.ala.org/teenread. 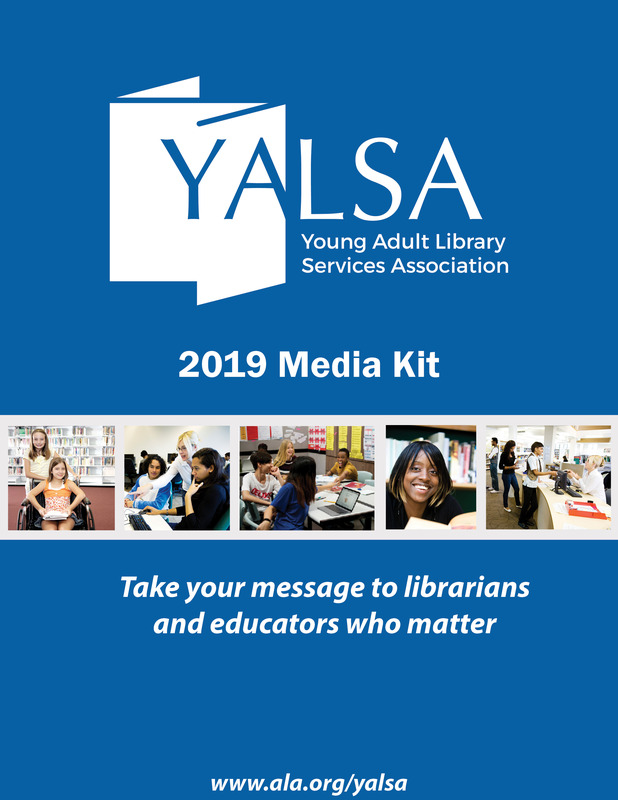 Shortly after Midwinter, YALSA published its selected lists, signaling the end of one committee year and the beginning of another. Last year I served on AmazingAudiobooks, and as I take over as chair and gear up for a second year, I’m finding myself reflecting on last year and what I’ve learned. I learned a lot about audiobooks. Over the course of the year, I listened to audiobooks in the car, at the gym, during lunch, while getting dressed in the morning, while making meals, while doing housework, and while sitting on the couch feeling like maybe I would never finish all of the listening that I needed to do (look at all of the titles we received last year!). But all of that listening helped me develop a more sophisticated sense of what makes a good or poor audiobook (you don’t always like something, even if it’s really good). By Karen Perry September 7, 2011 September 6, 2011 Audiobooks, Film & Video, Lists, Teen Reading, YALSA Info. It’s time for that little bit of money to be spent and quickly or it will be spent by someone else. You haven’t had any time to work on an order and you don’t want to make a mistake. Look to the lists below to help you find all kinds of exciting books, DVDs, and audio books that should be in your library. Every title on every YA list will not be automatically suitable for your collection. To double-check yourself, when you add a title to your order list, you can quickly skim the reviews provided by your jobber to see if an item matches your needs. Look to the sections for older readers in the children’s lists for other titles, especially if you serve middle school age. By Linda W Braun December 24, 2010 December 24, 2010 Audiobooks, Conferences and Symposia, YALSA Info.